It can feel like life is stressful or a hassle as you get older. It is only normal to feel like this because depending on your health, many aspects of daily living can become a challenge. Small tasks like washing the dishes or even taking care of your pets can feel exhausting or near impossible to do on your own. Compassion Home Care is a Non-Medical Home Care in Winter Haven, Fl that is committed to providing you with the personalized Home Care Services for a better life at home. 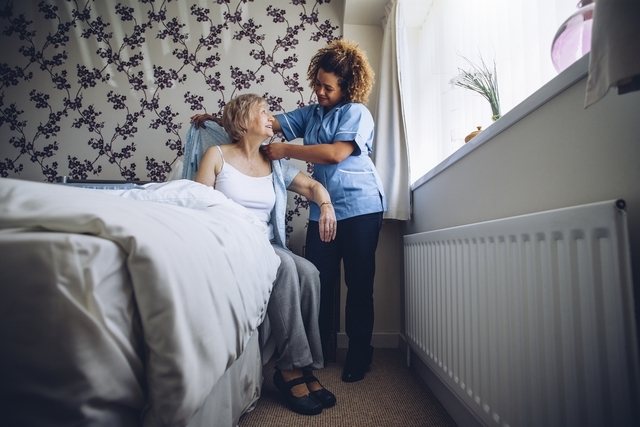 So how can our in-home care services improve the quality of your life? One of the hardest parts about growing older is simply living on your own. With family spread all over the country, it can feel very lonely. However, through our Companionship Care in Florida, we are here for you. Our services are not only here to help you get through life but to also make sure you have a friend you can count on. One of the most stressful aspects of day-to-day life is household chores. This is something everyone stresses out about, regardless of age. However, as a senior citizen, these tasks can be time-consuming and draining. Rather than spending all of your time doing trivial tasks around the house, just leave it to us. We will ensure your home is being kept to your preference as you focus on the things you enjoy doing. You can rely on our services on a 24/7 basis. We will make sure that we are available to you, no matter what. This is to ensure you no longer have to stress out about things like requiring assistance in the middle of the night or even needing a helping hand in an emergency. If you have trouble with your own personal care, we are here for you. We offer respectful support to ensure you have assistance with matters like using the bathroom, personal hygiene, or even getting dressed. These are tasks that can get more difficult with age but with our round-the-clock care, you can rely on us to be there for you. If you want to find out more about our services, please give us a visit. We are here to not only help you out but to also ensure you can enjoy a better life in the comfort of your home. This entry was posted in In-Home Care Services and tagged Caregivers, Companionship, Home Care Services, Homecare, In-Home Care Services, Non-Medical Home Care, Personal Care. Bookmark the permalink.